Your best smile is one that you're proud to flash. Are you proud of your current smile? In Englishtown, New Jersey, Dr. Vladimir Potepalov is dedicated to helping patients discover their best smiles with both partial and full smile makeovers. Whether your smile needs a minor adjustment or significant reconstruction, call Dental Star New Jersey or book a consultation online. No two smile makeovers are the same. Dr. Potepalov offers complete and partial makeovers personalized to match your aesthetic goals and dental health. A smile makeover means having at least one cosmetic dentistry procedure to improve your smile. Smile makeovers include many procedures, from basic teeth whitening to complete mouth reconstruction. Your smile transformation might consist of a number of these treatments. Dr. Potepalov answers your questions and explains the benefits of each procedure so you can choose the best one for you. What's involved in a smile makeover? After the evaluation, it will be time to discuss options for your smile makeover. Dr. Potepalov makes client education a priority and works side-by-side with you to determine a makeover treatment plan. For an additional fee, Dr. Potepalov can show you what your smile makeover will look like before you decide whether you want to go through with it. Like what you see? Then schedule your smile makeover, and the amount you already paid will be applied to the final cost of your treatment. Dr. Potepalov believes in a conservative approach to dentistry and won’t recommend a procedure unless it benefits the health and beauty of your smile. He is also an advocate for accessible and affordable cosmetic dentistry. That’s why Dental Star New Jersey accepts the CareCredit payment program to finance your smile makeover. 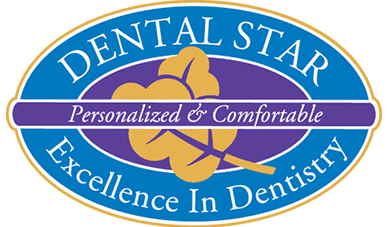 Dental Star New Jersey is in the business of beautiful smiles. If there's something you'd like to change about your smile, schedule an appointment online or call today.